Winter is terrible for many reasons, not the least of which is the long, long night. There’s just something so – depressing – about leaving home for work in the dark only to come home from work in the dark. There are ways, of course, to prevent full-on Seasonal Affective Disorder. The more common escape is Netflix and chill, which ends up being Netflix and Ben and Jerry’s. Or you can break out the formalwear and head out for a night out on the town, which is what many of StyleForum’s users did this past month. How’d they do? Let’s see. Lensmaster dusted off his white tie for what looks like a festive evening. Dive a little more into the WAYWRN thread and you’ll see his headgear for the evening (hint: it’s not a top hat). SprezzaTrash wore what looks like a vintage double breasted tuxedo, and while there’s nothing wrong with his accessories, I wish his placket was ironed a bit more and the handkerchief a touch more stuffed in. Otherwise, a good fit all around. Smittycl pairs his single breasted peak lapeled dinner jacket with a pleated shirt. This is a perfectly acceptable option, rarely seen nowadays, possibly because of the reminiscence it conjures of the groovy Seventies, when they (and most everything else) was taken to the extreme. 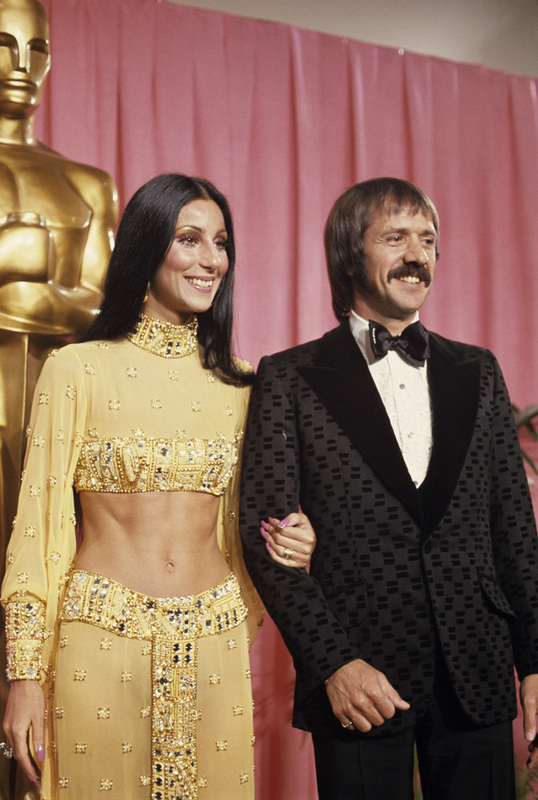 As an example, I’ll give you Sonny Bono. Apologies. But at least his collar hugs his neck. Yes, burn. Old e-pal Acridsheep is a hot mess, yet looks great in that sweaty tux. To his credit, he just performed The Humpty Dance from Bay Area locals Digital Underground (also on WAYWRN), and look at him. He’s the king of the evening. Well done. Cleav keeps it simple in a double breasted dinner suit with a perfectly pressed shirt, black onyx studs and cuff links, and what may quite possibly be the cutest pocket square the forum has ever seen. Andy57 looks like a million bucks in this fantastic bespoke velvet dinner jacket from Steed. I’ve always thought that velvet shawl collared dinner jackets are the rogue, debonair cousins of the tuxedo jacket. Like other black tie fabrics, such as barathea or mohair/worsted wool blends, the shine of velvet looks best at night, but the shawl collar and softness of the stoffa adds a dash of swanky guile that your regular black tie rig won’t have. I was fortunate enough to find this deadstock double-breasted tuxedo from 1949 that required no alterations whatsoever. I especially like how the peaks point up at an angle; many from that era had more horizontal, “Tautz” -y lapels, which while not necessarily wrong, can look a bit dated. Keep your eyes peeled throughout the year and you may find black tie and even full dress white tie outfits, and since they were probably rarely worn, they are often in near-perfect condition. Technically, the days are starting to get longer, but I do like the opportunities that long nights provide for well-dressed merrymaking. If nothing else, it’ll force you to host a party of your own to fill up those long, empty evenings. Because if your only memories of this winter come from binging on Netflix, then brother, ya gotta get out and live. What Should I Ask My Groomsmen to Wear? This entry was posted in News - Musings, Style and tagged black tie, dinner wera, formalwear, tuxedo, tuxedos, white tie by Peter Zottolo. Bookmark the permalink. Ha! Yes, I guess I deserve the collar comment burn. Holding the iPhone out for a selfie always throws my collar off. D’oh! Thanks for including me! Yes, my tuxedo is vintage and from the 1930s! I got mine while thrifting, so I definitely echo your suggestion about finding vintage tuxedos! Hi Peter- I’m in search of tailcoat and trousers. Would love vintage, but can’t seem to find the right seller. Any suggestions?